This Guest Post is contributed by Tibor Schiemann, Co-Founder and Managing Partner, TuneUp blog. With these Windows XP Mode tweaks, you’ll be able to squeeze as much performance and functionality as possible out of your virtualized machine. 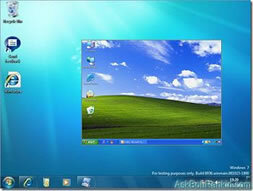 For more background information on Windows XP Mode, a step-by-step guide on setting it up and common “Virtual Windows” FAQs, visit the TuneUp Blog about Windows.